You don’t need too much familiarity with the past Inhumans. The first few issues do a good job introducing the characters that soon will come into play. First of all, the Inhumans live on Atillan, their ancestral home. Even though it’s been moved several times throughout its history, at this current point in time it lays on Atlantis. Black Bolt is the king of the Inhumans because simply, he’s the most powerful. His primary power is interesting because it’s a double edged sword, a curse if you may. By simply whispering he unleashes a sonic scream that has the power to level entire cities. Black Bolt never speaks, never makes a sound. His wife and Queen, Medusa, speaks for Black Bolt any time he has an order. 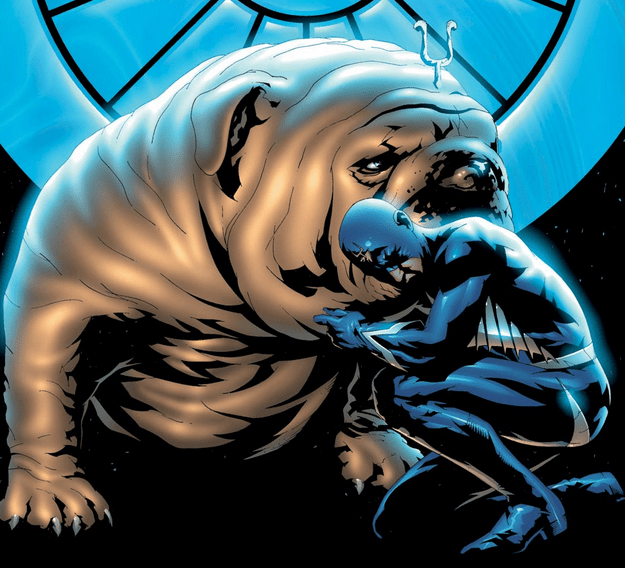 Black Bolt and Medusa are part of the Royal Family, which includes Lockjaw their giant bulldog that can teleport himself and others vast distances – even to other planets. The main conflict begins when the Portuguese army starts attacking their city of Atillan in Atlantis. Their primary goal was to gain access to the resources and technology they envied. Atillan has an impenetrable shield generated by that advanced technology. No human weapon had any effect on it. But they needed help, an inside man. That’s where Maximus the Mad comes into play. He’s part of the Royal Family and Black Bolt’s younger brother. Maximus was currently in solitary confinement within Atillan due to past attempts to over throw Black Bolt. Maximus, through trickery and collusion with high level military officials, was able to find a way to give the human attackers an edge. Mysteriously, Black Bolt orders his Royal Family and all the Inhumans not to fight back, even as the city starts to get destroyed. 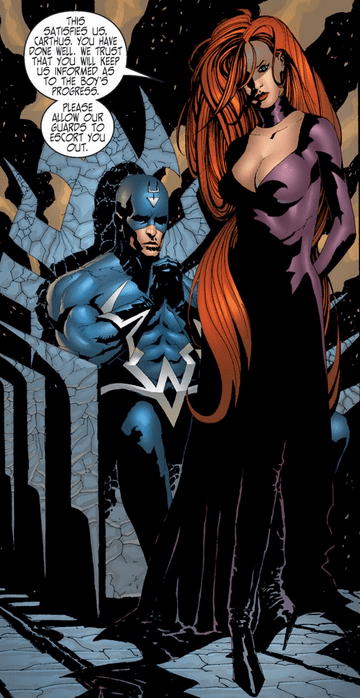 The entire Royal Family is confounded by this decision – there were constant back and forth arguments with Black Bolt. Several of the high ranking members starting to question his leadership as many Inhumans start to die. No one knew what exactly Black Bolt had in plan, not even Medusa. Has Black Bolt completely lost it? You’ll have to read it to find out. I enjoyed this 12 issue series a lot. As someone who hasn’t been reading comics the last several years, I would have liked to know a few things not mentioned in this series. Inhumans are they way they are because of Terrigen Mists through a process called Terrigenesis. Inhumans are descendants of other humans that were experimented on by an alien race called the Kree. Inhumans are born human like, but their powers lay dormant until they go through Terrigensis. Their society controversially chooses which children go through the transformation. Some transformations go horribly wrong which may end up killing the host or badly deforming them with no benefits, but most evolve instantly and develop super human powers. Depending on what powers you evolve with determines your place in society, and there you’ll stay forever. It’s definitely a form of the caste system. Paul Jenkins has written a fantastic story. It’s extremely character driven, especially with the main Royal Family. The conflict with the humans never really climaxes which may leave some readers slightly dissatisfied. I’m pretty sure that’s the minority. I also like the art a lot. 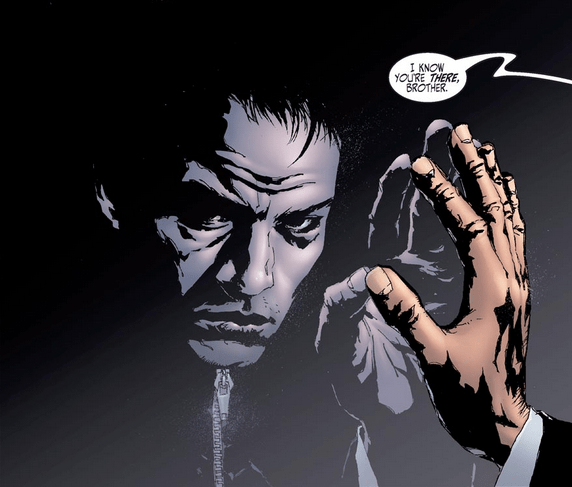 Jae Lee accurately portrays the mood in each scene. Black Bolt is usually calm, emotionless. Yet I still feel the nervousness in his actions when he prevents the Inhumans from fighting back. Jae Lee also nicely illustrates how mad Maximus is. This definitely gets shortboxed. I read this on Marvel Unlimited and currently trying to collect the back issues. It’s a classic series and sets the tone for all future Inhumans. If you want to read it now and don’t care about collecting the trades or back issues, catch it on Marvel Unlimited. It’s a monthly subscription but the amount of content provided is vast and updated every week. If you need to have a physical copy, the trade paperback is always a good choice. Quick and easy to get on Amazon. But if you’re like me and like to collect the back issues, you could easily get these at comic cons for a buck a piece in dollar bins. But be warned – with the new movie announcement, vendors will be sure to mark these issues up, especially number 1. I suggest not to overpay and dig through the comic bins for a good deal.